Taylor/Goto is non-title but yeah it definitely looks interesting. Apparently, Cody is gonna be settling down in ROH now and spending most of his time there. 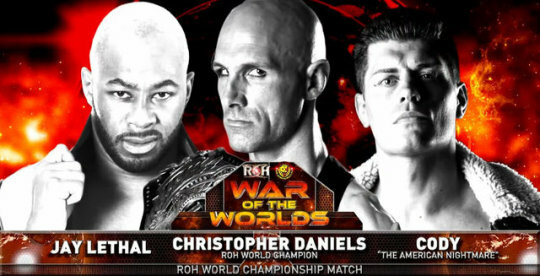 I really wouldn't be surprised to see Cody defending the ROH Title in the main event Final Battle this year. You know, if a certain Peacock isn't gone from the company by that point.........................I'll see myself out. december_blue and Concrete like this. TD Stinger and Reggie Dunlop like this. Well thats sad to hear. Not a Cody fan at all. He just seems to go through the motions most matches. Now that Cole is going to be on the pay per view I really can't believe they're not doing some sort of Bullet Club exit angle. Unless he's sticking around or they still will (duh, they probably won't announce something like that). Another title match for the PPV!